SandyB53 had the most liked content! Camping Out in a Session is No Problem. Remember, This Course is ABOUT YOU.....And Only You. Camp Out as Long as it takes, there is No Shame Here. CHORDS came very Difficult for me while others said CHORDS were Easy for them. Just goes to Show that Learning is Different for all of us, some things come easier for some than others and vice-versa. You can Rush thru this Course and at the End, still Feel like a Newbie or you can Take Your Time and relatively Master each Section and when you get to the End, you will Feel and Play like a Master. The more you Study and Practice, The Better you Get. I preferred to Camp Out in a Session until I was Playing the Material so well I began to get Bored with it.....then I would move on. When I got to Session 5 I knew I was Ready to Tackle Chords because Notes were EASY at that point for me and I was Playing Songs at Full Tempo from the Hal Leonard Song Book I had purchased (Easy Pop Melodies). I can tell you, Session 5 Swamped Me. While I felt Ready to Pursue Session 5, It was Extremely Slow. Master 1 Chord at a Time until you can nearly hit it without Looking....(Feel Your Chord Position). Then when you feel Good about that Add another Chord to the Mix. Steves Videos are Wonderful. Point being, Learn the Material ANYWAY YOU CAN.....Watch Steves Videos, Practice the Material in the Book and The Bonus Resources Book as well as the Bonus Workshop Videos, ALL Of it Helps. Then Develop a way of Practicing that Helps You, Whatever it is. If you need to, come here and ask for Advice, somebody is always willing to Help You. Just Never Give Up...No Matter. It Will Come to You Eventually and when you look back you will be so Happy You Never Gave Up. Also, Enjoy Your Learning Journey, Don't let it get you down. I am sure at This Point you are able to Play Much Better than you could when You Began this Course. Always Remember That.....Be Proud of your Progress and Keep Telling Yourself, Quitting Is Not An Option, a little every day Practice will Get You To The End in Time. You will be Proud When You Get There and also You will Realize just How Hard Everyone Here Worked to get to the level of Playing Guitar they are Today, it will make you Appreciate them Even More and Your Self Respect Will SOAR. Learning to Play Guitar is Not Easy, But You Can Learn if you Really Want To. I Wish You Well and Keep Your Head up....you can do it. Obviously this Young Lady Spends alot of her Time Creatively, Wish we had More Young People like her. Great! I have often thought if I ever MASTER Guitar, I might Enjoy Learning to Play a Bass Guitar also.....Sometimes I even Think playing Bass might be Easier....but I have a Feeling it is Not as Easy as it Looks. I still might try it someday. I Agree 100%. I have a Much Greater Respect for the Old Bands who Dressed Well and the Band Dressed alike (As in Uniformly). They Dressed Professionally and Respectfully. Today People just see How Sloppy they can dress......thus a Loss of My Respect for them as Well. In my Mind, If you are a Professional...Act and Dress like One. How would you like to go to the Hospital or your Local Dr.s Office and find your Doctor Dressed in his Saturday Rags? Or a Hospital ER where the Staff were Dressed as if they were on Summer Vacation? Believe it or Not.....Most people do not like Professionals in Casual Clothes, Most I Know anyways. I don't believe Musicians need to wear Suites (Although they Do Look Very Nice) but at least Clothes that Project a Professional Image and Bands Dressed as if They Go Together versus 8 Strangers on a Stage Playing the same Song. I would Love to Read his Novel, but i would also Love to Read a Book of His Music Knowledge......Every Time he lends his Knowledge to a Question it makes me Smile. A Book based on His Collection of Replies would even be Interesting. Right After I Posted this, I read one of the Questions in this Section and WHO did I find with an ANSWER? None Other than Mr. John Wells......here is the Quote in Answer to the Question: Why are Guitars called Dreadnoughts? As an old sailor, I know that the HMS DreadnOught was a revolution in warship design. Nothing else could match its design and firepower from its large guns. The same can be said for the dreadnAught guitar.Lotsa luck. If That didn't Make You Smile...Nothing Will. Funkcanna, That is a Great Job. It appears you are doing very well in a short period of time, keep up the Good Work. I would say Relax and take your time, obviously you are not having any trouble Retaining the Information so just make sure you go thru the Bonus Workshop Manual and when you are comfortable with that material, move along to the next session. Keep us Updated, and Your Video Quality is Top Notch also. Mr. Wells I am Very Pleased to See YOU are still Here with the Group, I miss Reading your Advice to Fellow Students, It is Always Great Information, I wish You would Write a Book....What a Great Read it Would be. I Wish You Well on Your Surgery and hope you Recovery Quickly. I will Certainly Include you in my Prayers for a Successful Surgery and Speedy Recovery. I am with Dave White, I Consider YOU Mr. Wells My Guitar Hero also. Keep In Touch. WELCOME NEW MEMBERS! - Tell Us About Yourself, Receive Encouragement and Advice! Welcome to the Guitar Gathering Forum Cliff. I made the Commitment to Learn to Play Guitar at 53 and Luckily Found Steve & The Group with the Learn & Master Guitar Course. I received my Course just Before Christmas 2013 and began My Journey. The way it is Presented my Learning Experience has felt quite Natural, I didn't say Easy. I spent quite a bit of time up thru Completion of Session 4 and in Session 4 I Purchased the Hal Leonard "Easy Guitar Song Book". 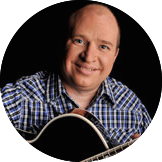 While in Session 4 I was able to Relatively Master Several of the Songs from the Song Book, I can't express How Great that made me Feel, But I was Sure of One Thing....I had actually Acquired Usable Skills from the Learn & Master Guitar Course. Shortly after all of that I suffered some Health Issues and had to Stop my Progress but have recently Picked my Guitar Course back up and while a little Rusty, I rapidly was able to return Nearly to the place I left off. Here is My Advice as a Novice Student: Take Your Time and Relax. There is NO TIME FRAME for Progression. When YOU are Ready to Advance to the Next Session, Do SO and NOT Until You are Sure You are Ready to Advance. Download the Bonus Workshop Handbook and have it Printed and Bound at the Office Supply. Make sure you Complete Each Session in the Basic Course Manual AND The Bonus Workshop Manual before Advancing to the Next Session. You don't have to Perfect each Session but try to be Very Comfortable with the Material and Exercises. Simple Songs get Boring Quickly but I Assure You , It is In Your Best Interest to Master them, it will Help You in Later Sessions. If something Troubles You, Come Here to the Forum and ASK or Explain the Issue You are having Difficulty with. It doesn't Cost a Penny and you will find Many Senior Students Jump In to Help You until you Resolve your Issue and Cheering You ON to Success. Nobody has a Course Combined with a Group of Students More Willing to Help Fellow Students than This One....but I Bet you Realize that by now.  I wish You Luck and Hope You keep us Posted on Your Progress or issues and Become a Part of the Guitar Gathering Family for many years to come. If you Really Want to Master your Guitar....THIS IS THE PLACE. I Wish You Well and Cheer for Your Success. Boy, This Song Turkey in The Straw has Bit Me....I have Listened to it about 20 times in a row, Dad Gummit! Cindy I would Love to Download a Copy Of Turkey in the Straw by Dennis C.....That is an AWESOME Track. Members Recordings - Songs, Lessons, Open Mic! Great Job Six-String! If THAT is Just Practice, I can't Wait until you give us your Final Version. I know You have been at this for a while and Your Success is quite visible. Thanks for Sharing with Us. Sandy B. More Great Information! Thanks DianeB.